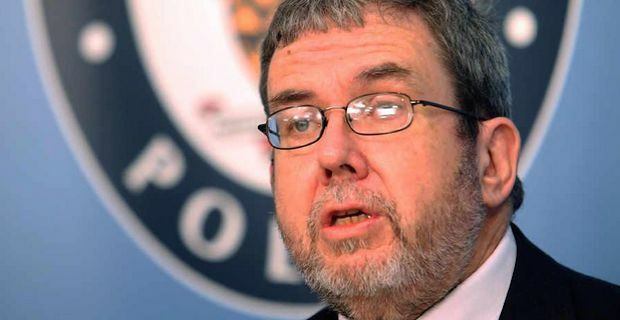 Chief Crime Commissioner Bob Jones has died suddenly at the age of 59. The Wolverhampton man was well known for his straight talking stance on issues that he faced in his day to day role and he was ever critical of both his position and other roles within the organisation. Yvonne Mosquito, who worked closely with Jones in her role as Deputy Crime Commissioner, said "This is a huge loss to the West Midlands and to policing. Bob was a dear friend and a deeply committed public servant. All our thoughts are with Bob's wife Sarah and his family at this sad time." He was the first West Midlands Police and Crime Commissioner to be elected to the role. He started in November of 2012 and he has performed with distinction ever since. Tributes have been flowing in from all sections of society since the news of his passing was announced with former police officer Peter Kirkham tweeting "Policing has lost a great champion (as @JackDromeyMP has noted) & much needed, scarce friend with Bob Jones' death." Jones was never one to shy away from speaking out on controversial issues. Recently, he spoke up against Michael Gove and his attempts to deflect blame from himself over the Trojan Horse school takeover plot. Flags are flying at half mast in memory of Jones at the Civic Centre in Wolverhampton today.